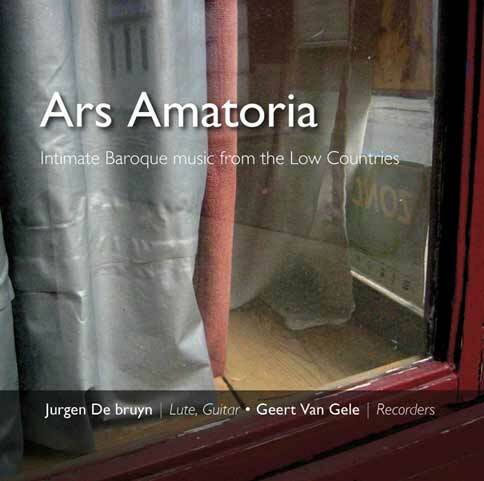 KA004: Ars Amatoria, duo Van Gele - De bruyn (download only! ): In this duo program featuring recorder and lute/baroque guitar, pearls of instrumental music from the Low Countries are showcased. This lovely repertoire is today hardly ever heard, yet its directness speaks to an audience in the manner of today’s singer-songwriters, whether caressing a melody, or spinning a virtuosic tour-de-force. During the Dutch “Golden Age” (17th century) the lute and the recorder were prized in the homes of aristocrats and the upper-middle-class. Their intimate, delicate and yet expressive sounds were ideal for the cultural “salons” of the period. The great popularity of these instruments led to the further development of Dutch recorder-building, and of the so-called “Dutch lute” with a crossed neck, as seen in many Dutch paintings. A piquant detail strengthens the intimate association of these two instruments: in the art of the time, the recorder and lute were embued with a sexual symbolism, the lute representing the female and the recorder representing the male. These connotations could certainly heighten the tension of any interchange between the two! This CD will be available soon. Please check again, or let us keep you updated by providing us with your email address.